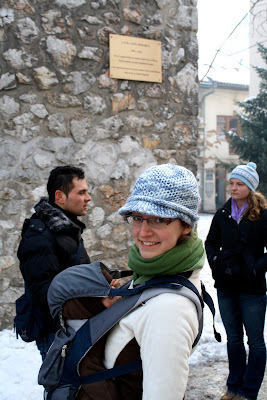 We flew from Zagreb, Croatia, to Sarajevo, Bosnia, the day before 2012 began. 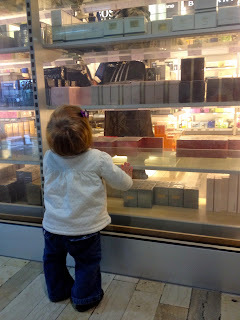 (Lena enjoyed shopping for some duty-free perfumes in the airport before we took off!) I can't say that the countryside of Croatia is drastically different from Bosnia, but something was different. We were definitely moving away from traditional Europe and into rougher territory, a land burgeoning on prosperity but struggling to get there, and weighed down with a history of war and financial hardship. In addition, we had made a quick shift from a predominantly Catholic country to a predominantly Muslim one; minarets spiked the sky instead of cathedral towers. Old clashed with new, Turkish influence and art met glass-enclosed banks and precise European piazzas. 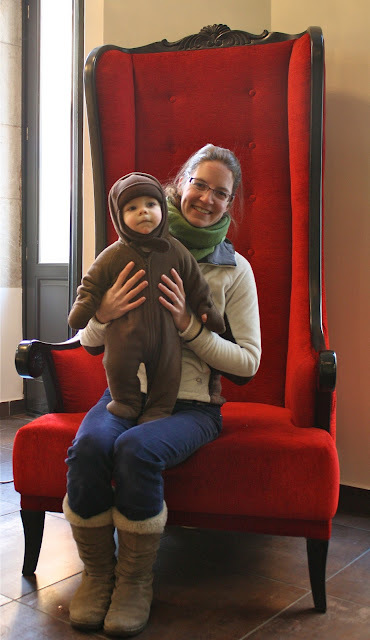 We tucked our hands into our warmest gloves and set off to go exploring. We all loved our guide, Anand. Such a funny, nice guy... and also an honest one. He really wanted some good feedback on his webpage so that he would keep his job. There aren't many jobs in Bosnia. "When you Google employment in Bosnia," Anand joked, "Google asks you, 'Did you mean unemployment in Bosnia?'" Do you like my hat? Elliott bought it for me because he was tired of me wearing his hat (see previous post). I like it too. I'm a little sad to say, though, that that the hat (and a mug inscribed with "Enjoy Sarajevo" in the style of "Enjoy Coca Cola") was the only thing we bought on this entire trip. Maybe that was just us, and maybe that was because there was a lot of imported art from other parts of the world, and maybe that was because... well... there wasn't much to buy in the Balkans that was very appealing. That seems a little harsh, I know, but I think my family would agree with me. Oh well, we ate and slept and drove, and so we invested in the tourist industry in other ways, as all tourists do! Have you ever felt this way about places you've visited? And does it make you feel bad? Am I alone in this feeling? After exploring Sarajevo, we drove on to Mostar, a lovely riverside city with a strong Muslim/Turkish influence. Lena was exhausted after the drive and needed a nap, so I stayed behind with her while the rest of the family went on a self-guided walking tour of Mostar. 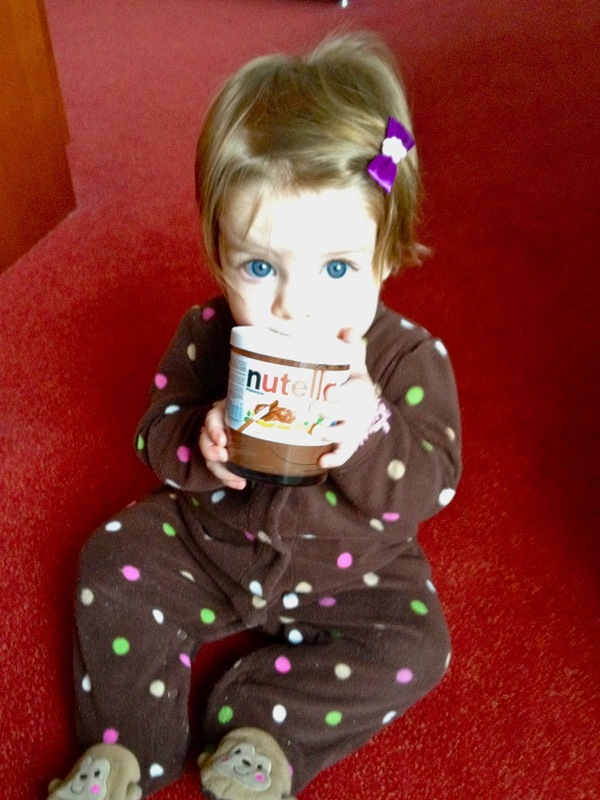 When Lena woke up, she discovered the Nutella jar. Clever, clever child. 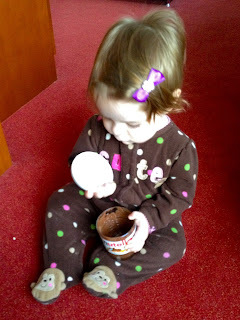 But next time you might have more luck with the jar instead of the lid. Later Elliott came to get me and Lena and we walked back together to meet our family for dinner. We stopped at the famous Mostar bridge to take a few photos as the sun went down. And then dinner, which consisted mostly of meat and white bread. It was delicious, though, and stuck to your ribs. 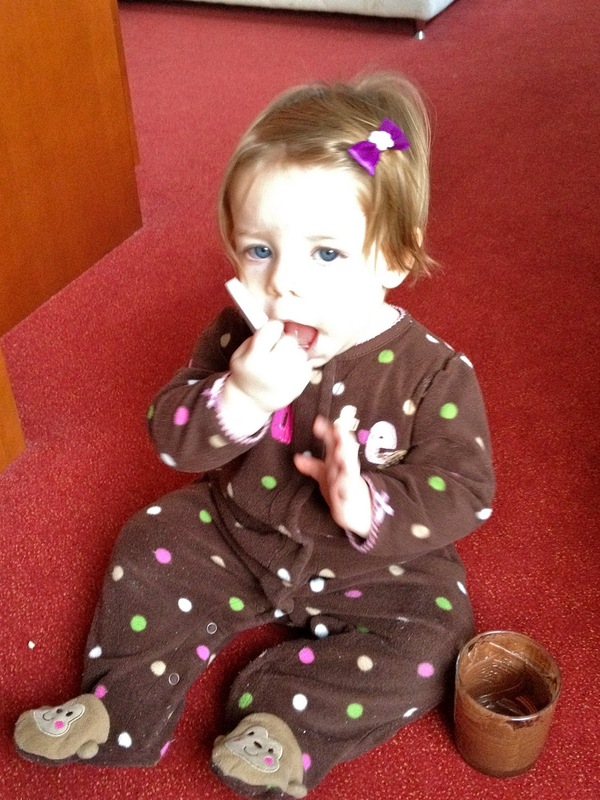 And Lena learned how to give a high five! Awwww...I just love these photos and the text! I love to hear your impressions of the places we visited, like Sarajevo. I totally agree about the shopping. Much of it looked like it was imported. The purple walls in that hotel in Sarajevo gave me pause, too. It IS interesting to see the hotels in various places, though. I liked being in the walled city in Kotor. Lovely to see the pictures and try to picture you all traipsing along in a whole 'nother world! 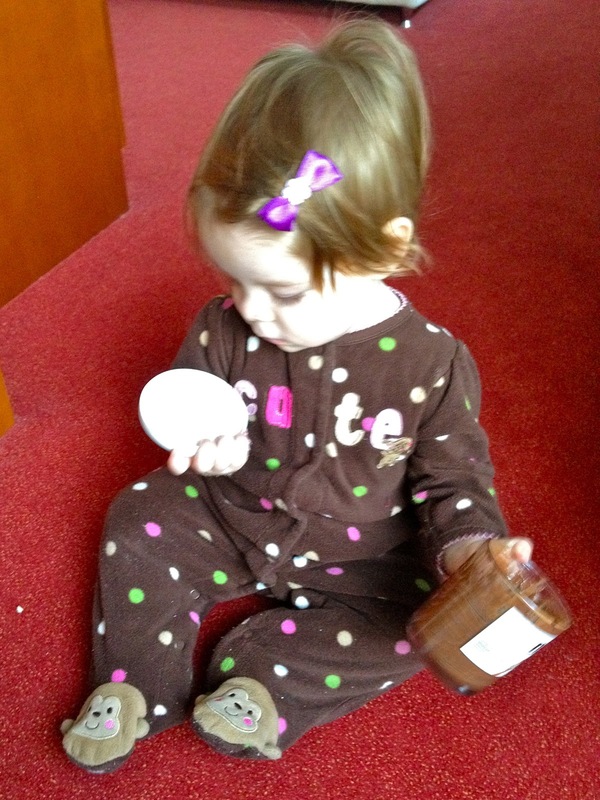 Love your pics from Bosnia! It is a beautiful country. I have a friend in VA who is from the coastal region.